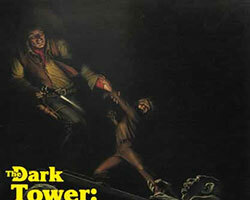 In this double-page spread from THE DARK TOWER: THE GUNSLINGER, the hero has just taken Mescaline. 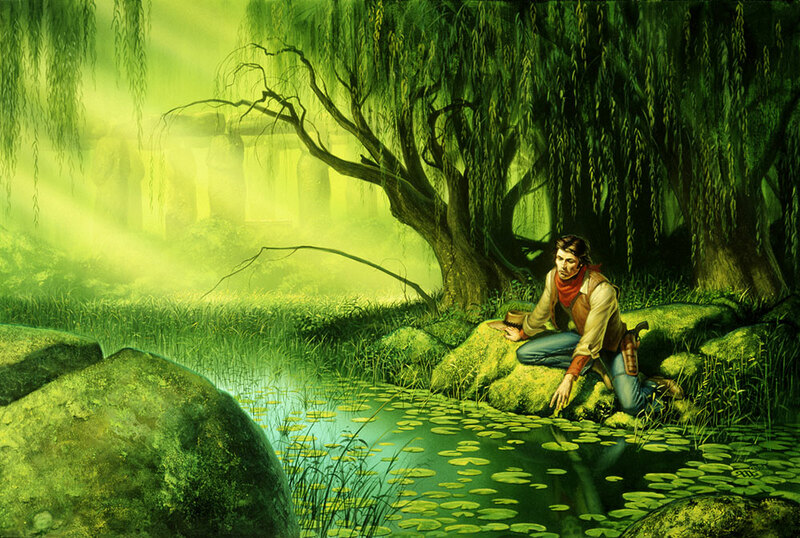 Michael suggests the heightened awareness fed by the drug in the exaggerated texture of the rocks, the psychodelic greens of the foliage, and the skull face Roland sees in his reflection in the water. This heroic fantasy is set in a world of ominous landscape and macabre menace that is a dark mirror of our own. 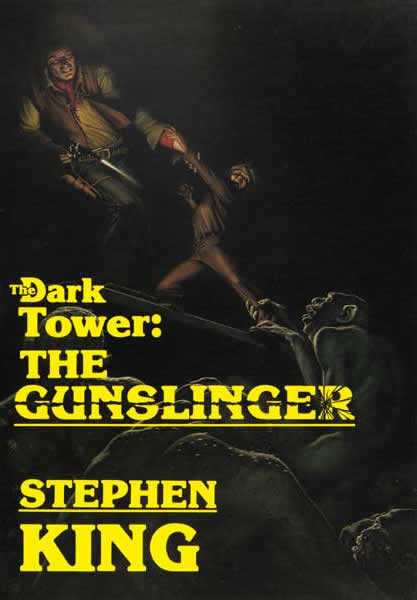 A spellbinding tale of good versus evil, it features one of Stephen King's most powerful creations - The Gunslinger, a haunting figure who embodies the qualities of a lone hero through the ages, from ancient myth to frontier western legend. The Gunslinger's quest involves the pursuit of The Man in Black, a liaison with the sexually ravenous Alice, and a friendship with the kid from Earth called Jake. Both grippingly realistic and eerily dreamlike, here is stunning proof of Stephen King's storytelling sorcery.